All 3 Runt Stun Gun models are easy to carry! The RUNT Stun Gun comes in 3 different colors to fit your preference and style! Small enough to conceal in your hand! High-tech design and mini size make the RUNT Stun Gun powerful, portable and affordable! You can wear this self defense product on your belt with a nylon holster, an oversized purse, an evening clutch or even in your pocket! The RUNT is designed to go wherever you go. Featured on the top left side of this page, we have the black 20 Million Volt model. Scroll down the page to see all 3 colors of this powerful mini stun gun. The overwhelming clout and portability are comparable to units costing a LOT more than the $34.95 base price for our fully rechargeable 20 Million Volt unit. Twenty Million Volts of take down power! Life Time Warranty - If it quits...we replace it! Order the Black Runt - Only $34.95 - Includes FREE Shipping! Most of us have found ourselves in situations where we felt a little more uneasy than we'd like...such as leaving work after dark when no one else is around to walk to the car with. Or what about when we travel in unfamiliar areas? How would you like to have 20 MILLION VOLTS of pure knock-down, non-lethal power in the palm of your hand? Simply slide the selector switch to the "ON" position and press the stun gun button while pressing the unit against an assailant. You'll pack quite a punch and give yourself precious time to retreat to safety! Order the Purple Runt - Only $34.95 - Includes FREE Shipping! They say variety is the spice of life. Having multiple choices available to you to choose from can sometimes make it difficult to decide. On the other hand, finding that perfect fit in your life can make all the difference. While we're sure this next model is mainly for women, we don't judge when it comes to self defense. Anyone and everyone should have some sort of personal protection on them at all times and one of these powerful devices fits that bill. Anyway, if you'd like to add a splash of color to your self defense inventory then the Pink RUNT Stun Gun was made just for you! It has all the same rugged features and craftsmanship you'll find in our black or purple model. Order the Pink Runt - Only $34.95 - Includes FREE Shipping! Need a New Wrist Strap? Lose your wrist strap disable pin? Don't feel bad, it's one of the most common inquiries we get. Don't worry, we've got your back. 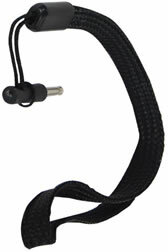 Order the Wrist Strap Disable Pin - Only $8.00 - Includes Shipping! Stun Devices can not be shipped to Hawaii, New York, Massachusetts, Michigan, Illinois, Rhode Island, Wisconsin, or Connecticut.